This chapter will seek to document and profile various initiatives in infrastructure development and related services which are deemed smart. The chapter will focus on transport (mobility), water and solid waste management in Nairobi which are seen as either catalysts or potential in attainment of smart environment in Nairobi. Initiatives such as application of Information and Communication Technologies (ICTs) through Kenyan mobile, web and SMS platform, wants to address mobility, water access and waste management challenges in Nairobi. These three sectors are also considered key and basic to all Nairobians regardless of their social status, hence their understanding of how they are provided and accessed is key in understanding how smart approaches in their provision and use can have positive effects in meeting the elusive smart environment. 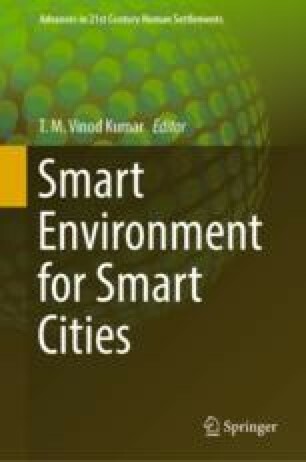 The chapter discusses various initiatives in terms of infrastructure provided, services associated with those infrastructure and application of digital technology and how these are likely to support attainment of smart environment.